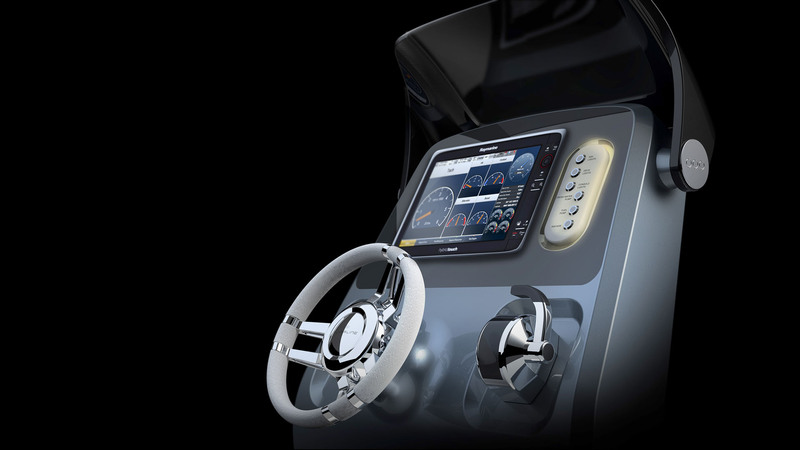 HBD Studios was assigned to design & develop a steering console for Yachtwerft Meyer GmbH. 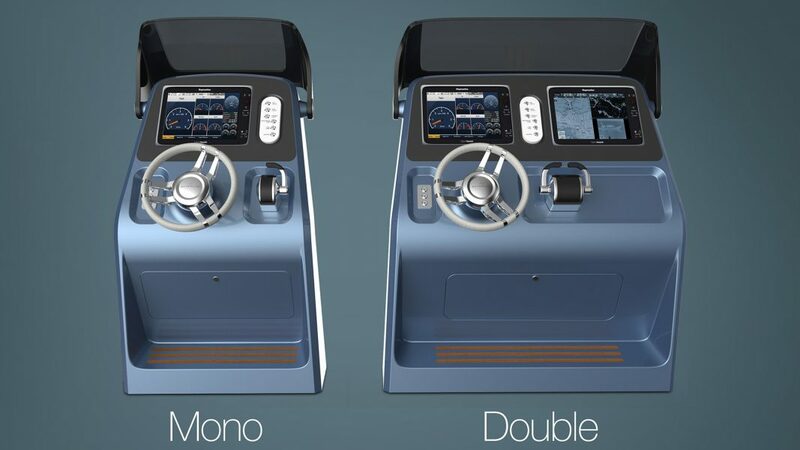 The console can be manufactured in two versions, Mono & Double, depending on the size of boat and the type of engine & control bridges required. The sleek & compact design of the console saves a notable amount of space inside the cockpit. 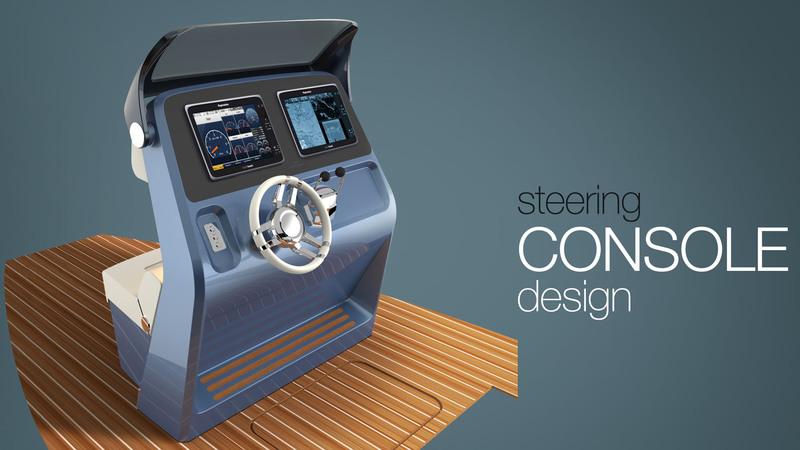 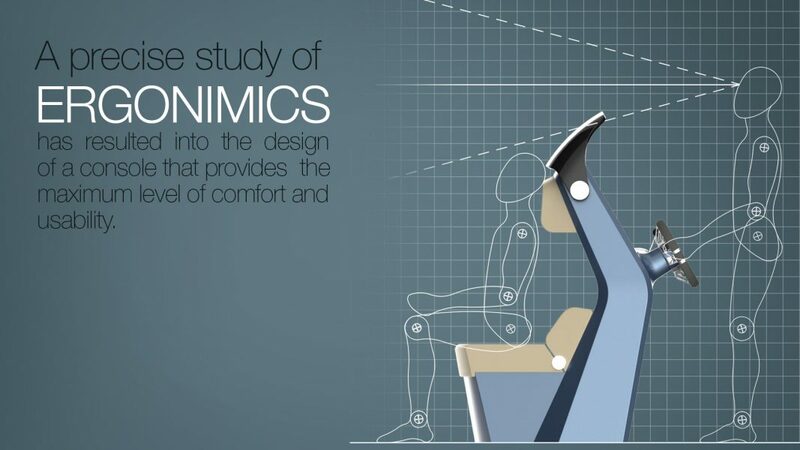 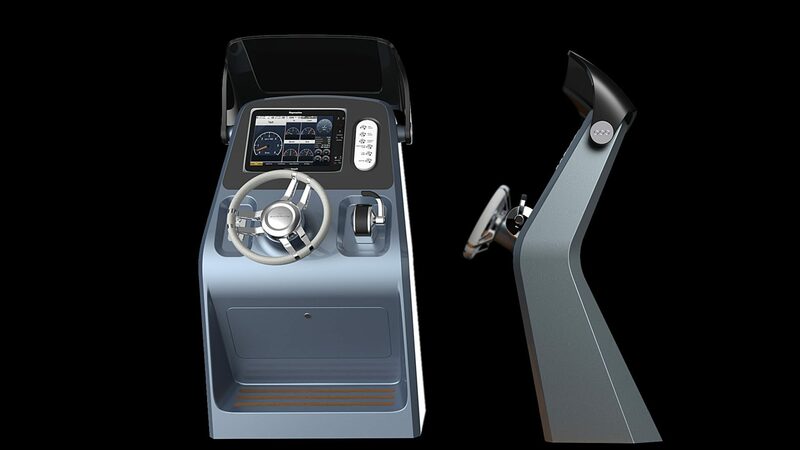 A precise study of the ergonomics through the use of full-scale mock ups & drawings has resulted into the design of a steering console that provides maximum level of comfort for the person at the helm, plus the ease of use & easy access to all parts of the console, whether during the usage or for maintenance purposes. 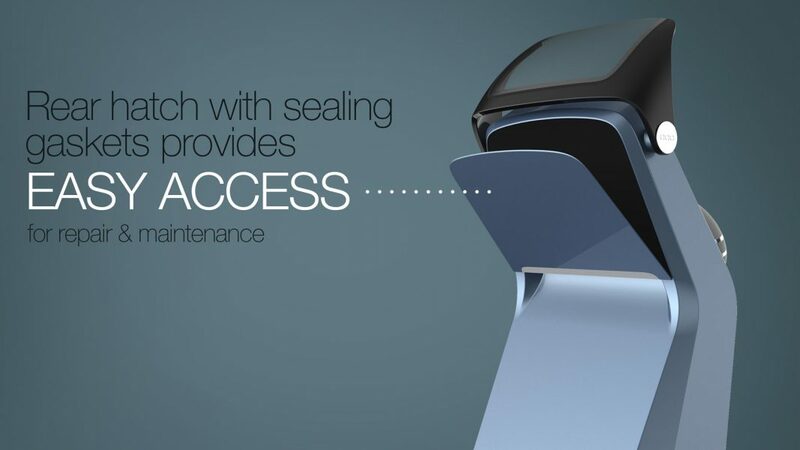 For the first time in the maritime field, Solid Surface Materials with an Acrylic Polymer basis (e.g. 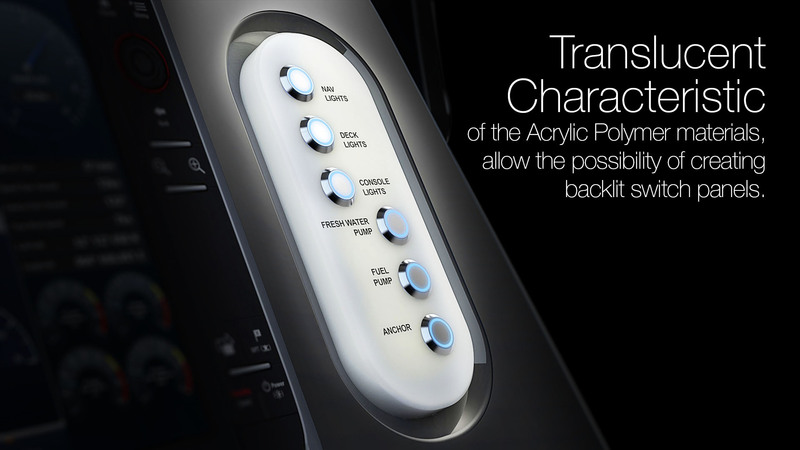 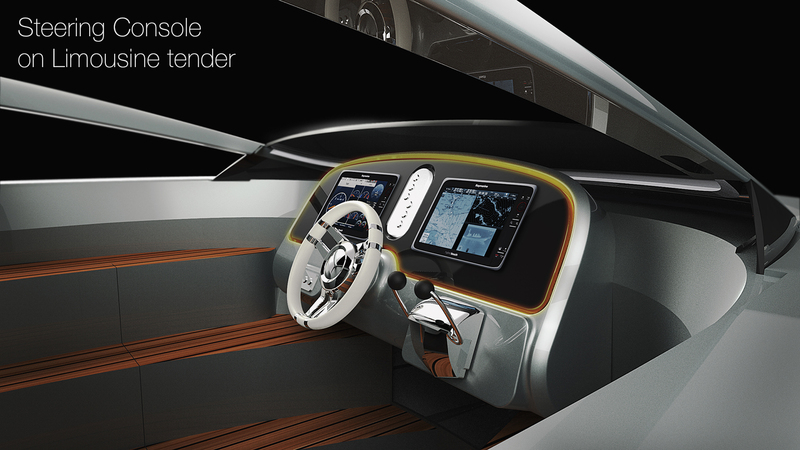 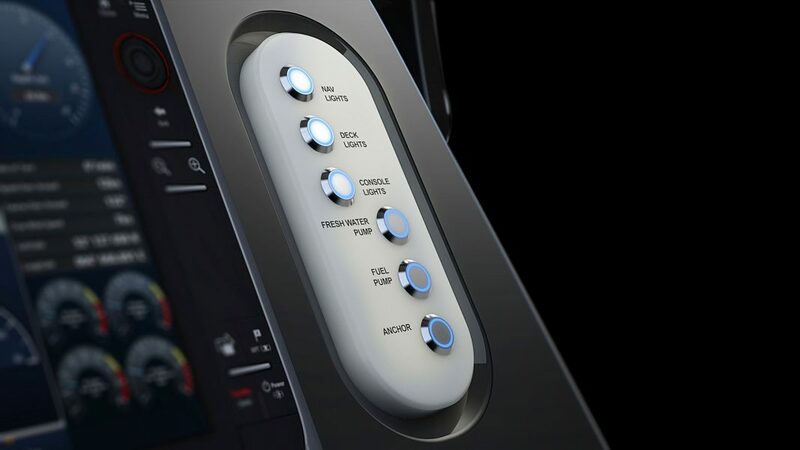 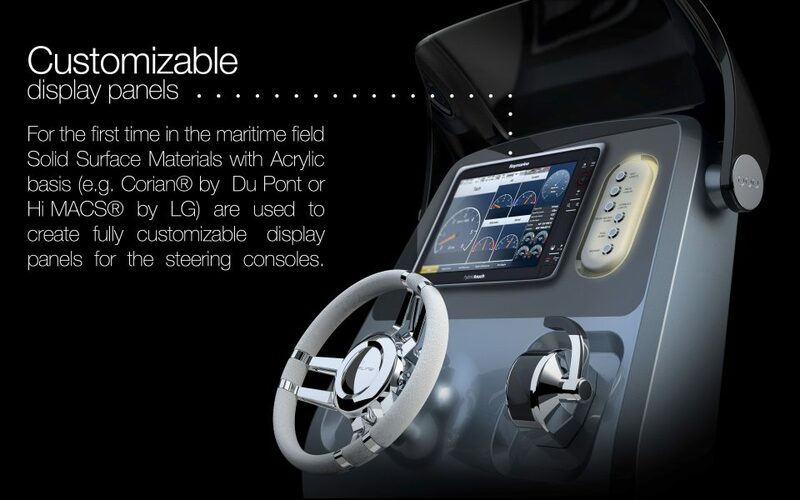 Corian® from Du Pont or Hi MACS® from LG) are successfully tested to be used for completely customizable display panels on the steering console of the yachts. 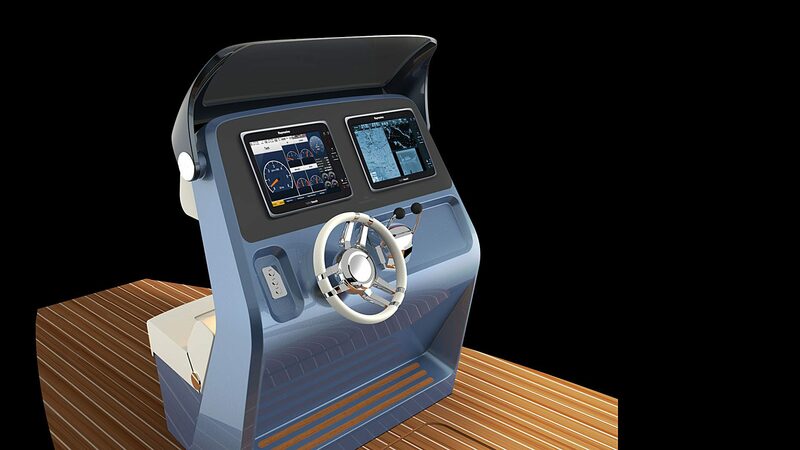 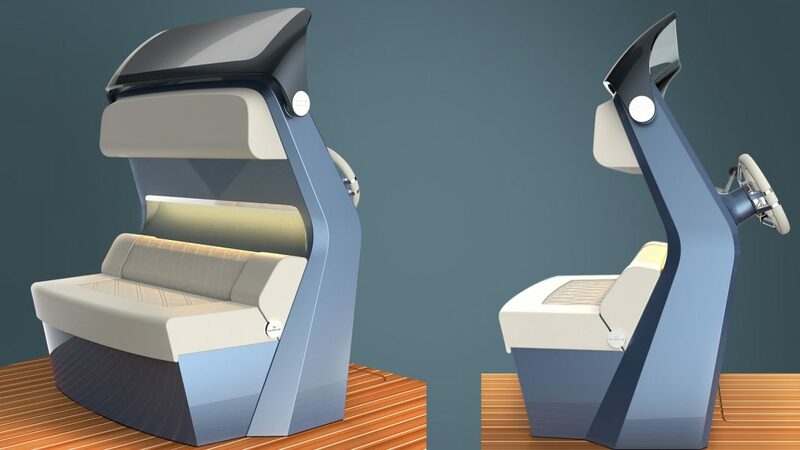 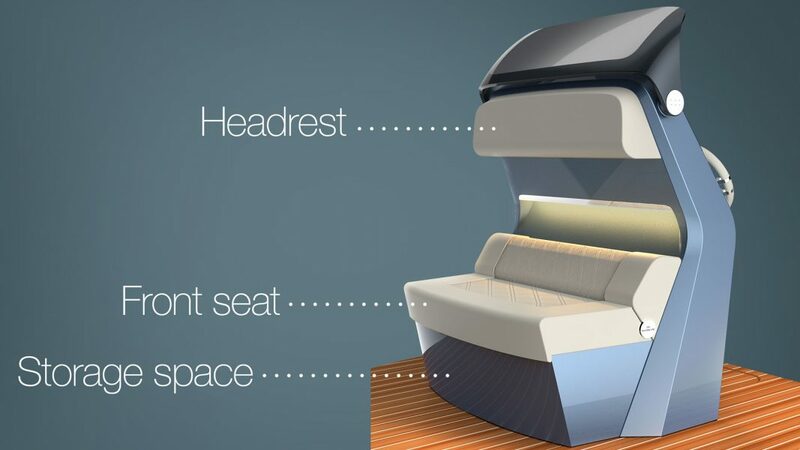 Each panel is manufactured with CNC milling machines & is completely customizable in terms of the form and the arrangement of the display panel’s components and the wide variety of choices for the color & finishing offers a higher degree of freedom to the clients to customize their boats. 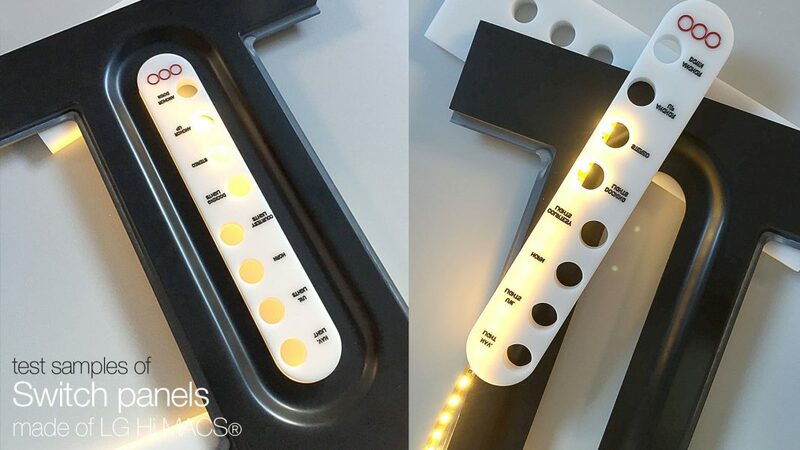 The translucent characteristic of the Acrylic Polymer materials, offers another interesting feature to the design of the display panels when it is used for backlit switch panels.